The 2007 Flamsteed Lecture was held on the 10th October 2007 at the University of Derby Kedleston Road campus. To mark the 50th anniversary of the launch of the first Sputnik Professor Colin Pillinger CBE FRS, of Beagle 2 fame gave a lecture on Fifty Years in Space. 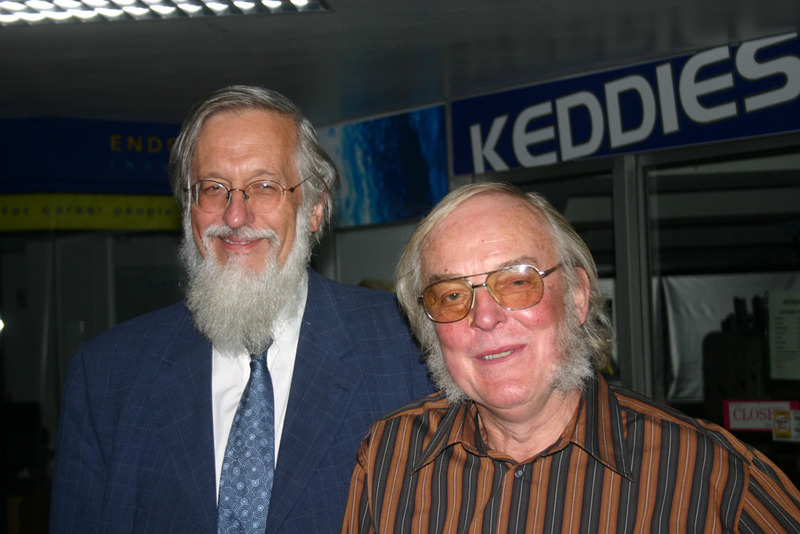 The following photograph by Chris Newsome shows Emeritus Professor Jonathan Powers (left) with Professor Colin Pillinger.